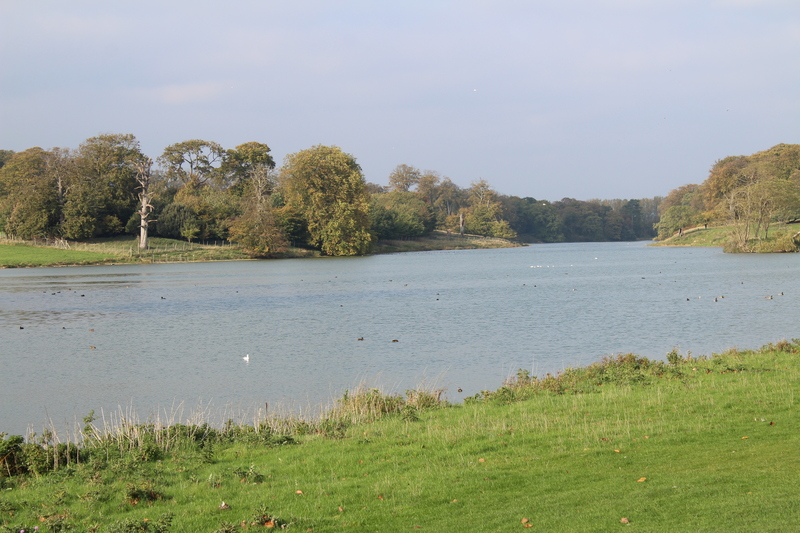 A few photos of a recent trip to Holkham estate in Norfolk. 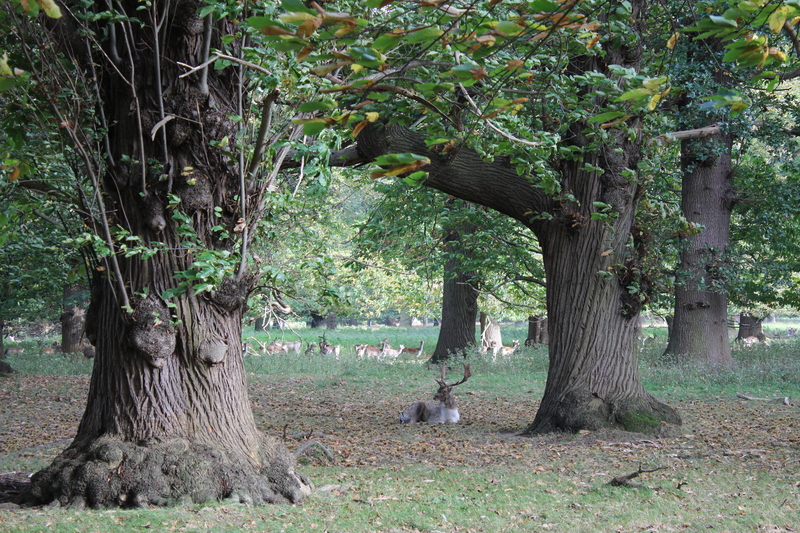 This was early October and sadly the stags weren’t quite ready to rut (at least while we were watching) but we still go to see them quite close. 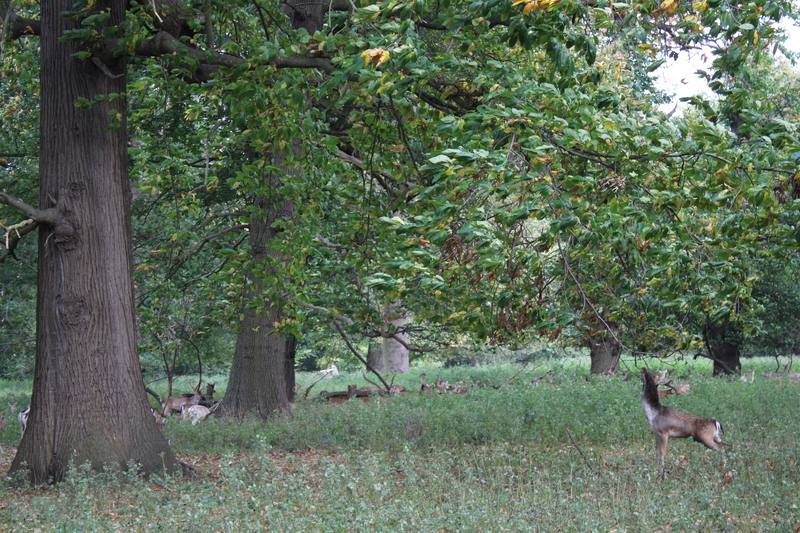 There’s a very large herd at Holkham and they are mostly fallow deer but there is a smaller herd of red deer. 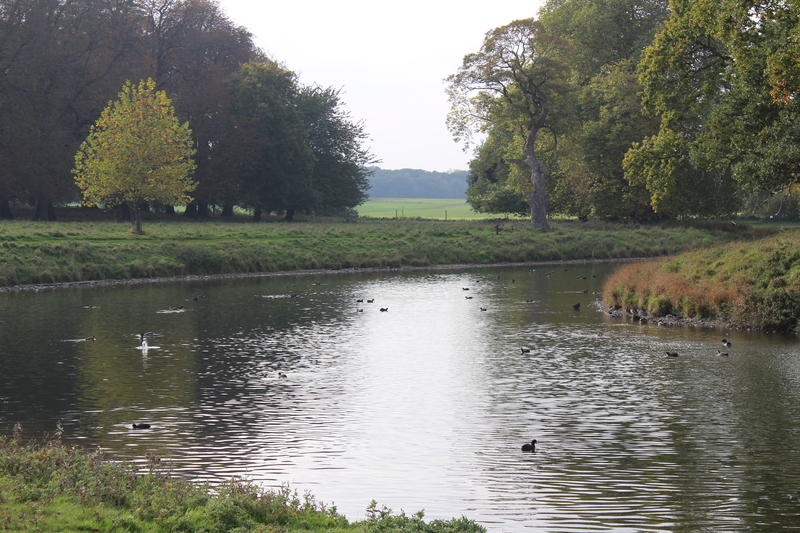 It’s a really special area of North Norfolk as it also has very popular beach and nature reserve. There are no deer very close to me. I’d have to drive north a couple of hours. These animals always make me feel immediately like I’m in a story book when I see them. Just such beautiful creatures. They’re so fascinating I think because we usually only ever see their tail end running away from us. I used to live in somewhere quite suburban and a little muntjac deer used to come to our garden to eat the flowers. Wow!! I cannot believe the number of deer in the first photo! How amazing! 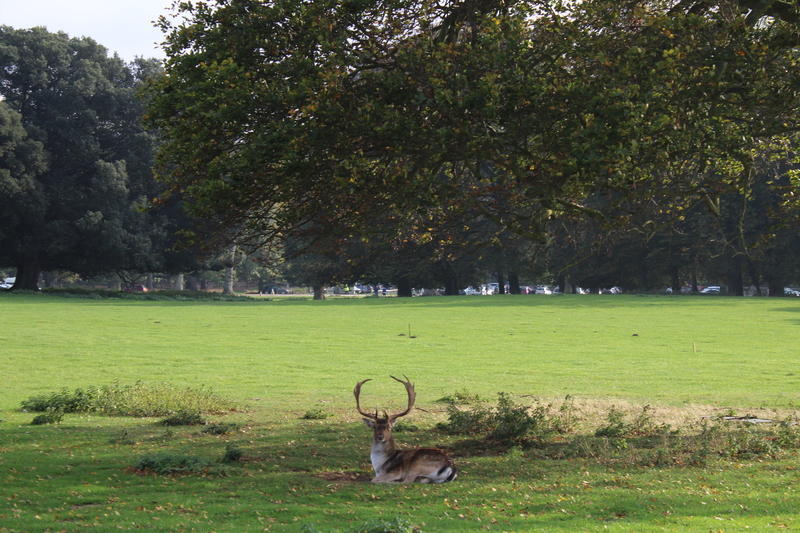 And the deer where you are have such amazing antlers…they are so different from our North American deer… very neat! I just love deer. Thanks for your comment, Erin. 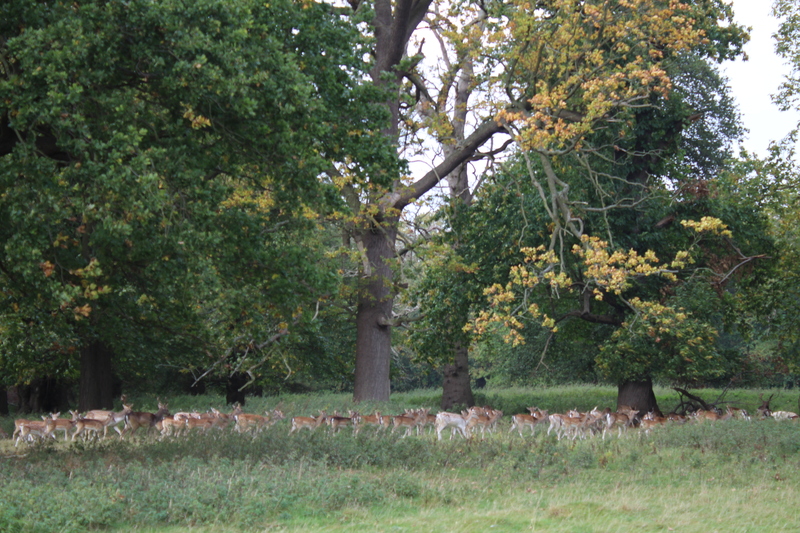 :D Have to say, herds of deer in those numbers are not everyday occurrences here. But they do exist in large herds on parklands and have done for centuries. It’s such an impressive site when they start running though! 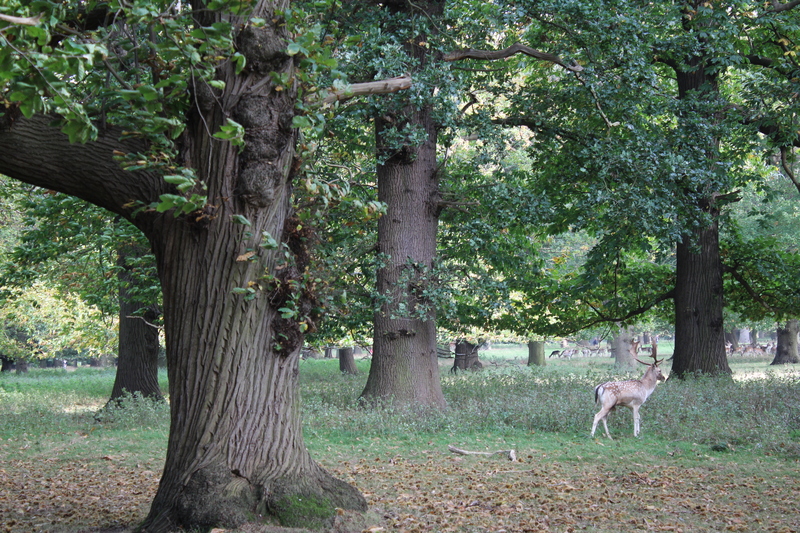 Gorgeous landscape…..the bucks are grand….we have deer of our own and the thought of so many in one place is disconcerting, still I can appreciate a sense of wonder for that number someone else.